Look scary? It can be... or not! 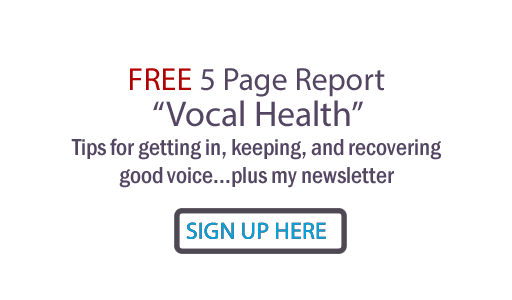 Whether you are a seasoned recording session singer or new to the studio, you need to know how to defeat the following sneaky saboteurs to your vocal success. This is, of course, if your aim is to create vocal magic and not settle for mediocrity. ... There is no magic pill that can make up for lack of sleep. You will never sing as well as you will if you have enough shut eye, so if you're going for master quality vocals, get 7 or 8 hours of sleep and your vocal cords will thank you. ... Your vocal stamina depends greatly upon your physical state. What you eat for breakfast, what you drink at the mic and long before you sing, all this matters tremendously when you 'go for it' in the vocal booth. ... The resulting chaotic state you'll be in is a terrible way to set your voice up. Come early so you can chill out and get used to the studio space. Make sure you bring with you what you need, including food, drink, extra shoes or clothing layers and lyrics set in the right format for the production team. ... Hopefully you do have the right production team with you (producer and or vocal producer, engineer, studio support personnel) but did you know that the mere presence of other souls can distract you from performance? Sometimes there will be someone you want to bring who makes you feel safe, focused and confident. But all else are best left out of the control room. ... Getting truly master quality vocals can be much more difficult (and can take longer) than you think. That's why preparation and the right mental attitude and focus is so important. If you are not willing to work as hard as your team is, you will undermine everyone's efforts, including and especially yours. That said, you also need to know how to work SMART, not just HARD. That involves your pre-production practice and even pre-production vocal lessons. ... When you haven't memorized your lyrics, you have to read them. When you have to read them, you lose your mental focus (unless you are a highly trained session singer). When you lose your focus, you get nervous and/or numb. When you get... well you get the idea! ... For goodness sake, if you were a professional athlete would you start playing the game without warming up properly? (Notice I said 'properly'). ... How and where you stand at the microphone can make all the difference to your breath control, and thus to your vocal control. Even your production team may not know that the music stand can interfere with the girth of your ribcage! Here's where knowledge is protection and power. ... Are you singing material that fits your artistic definition? This should be brainstormed long before your vocal session of course, but really... what factors went into the choice of songs you're doing? Also... did the keys to your songs get brainstormed? Sometimes the key you wrote the song in is not the sweet spot for your vocal range. Sometimes there are key and tone options.. have you explored them in pre-production? ... Very rarely is your performance authentic if you sing to the souls in the control room. Ask yourself to whom the lyric is directed. There's your clue. ... This is usually a sure way to undermine your breath control... and your vocal control will be lost as well. You can sometimes sing, but never as well as when you give your hands and arms permission to engage in the conversation. 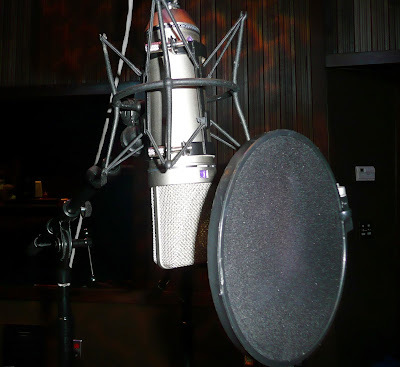 There are many more things that can sabotage or improve the quality of your studio lead recording vocals, as well as background vocals and jingle singing. If you are truly serious about it, look into my course 'Singing In The Studio' ... before your next vocal session. Pardon the shameless promotion, but you'll find this course a lifeline when you get your face in front of that pop filter! You have the uncanny ability to see from 30,000 feet, as well as from the inside out of a performance. Your article here should be understood and observed by everyone endeavoring to do studio vocals. Thank you for your Insights. Coming from you, Dr. A... this is very much appreciated - Thanks for your excellent care of me and everyone else lucky enough to go to you! The Writing Voice: Punctuation Communicates!